Maan, Clav leads teh life! Where do you find all these treats? Don't you already have a Kawai upright? How do they compare? I'm not even sure what that is! 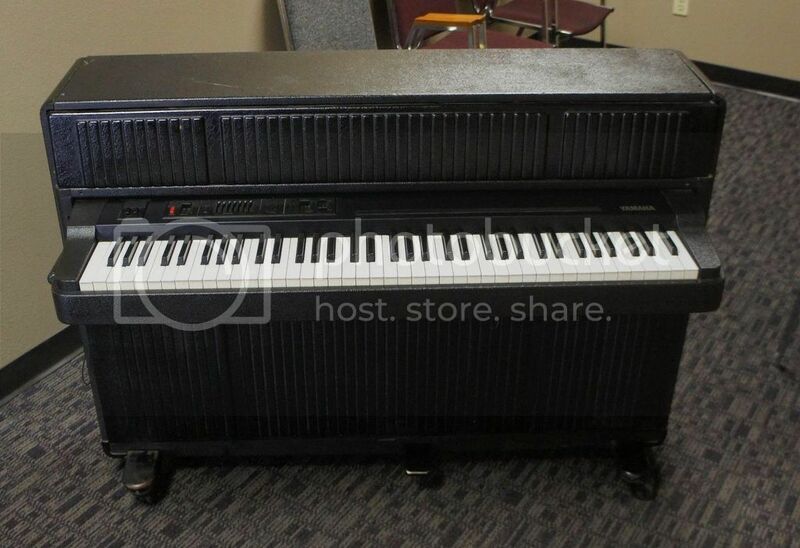 Why does it look like a digital piano plus proper piano innards? 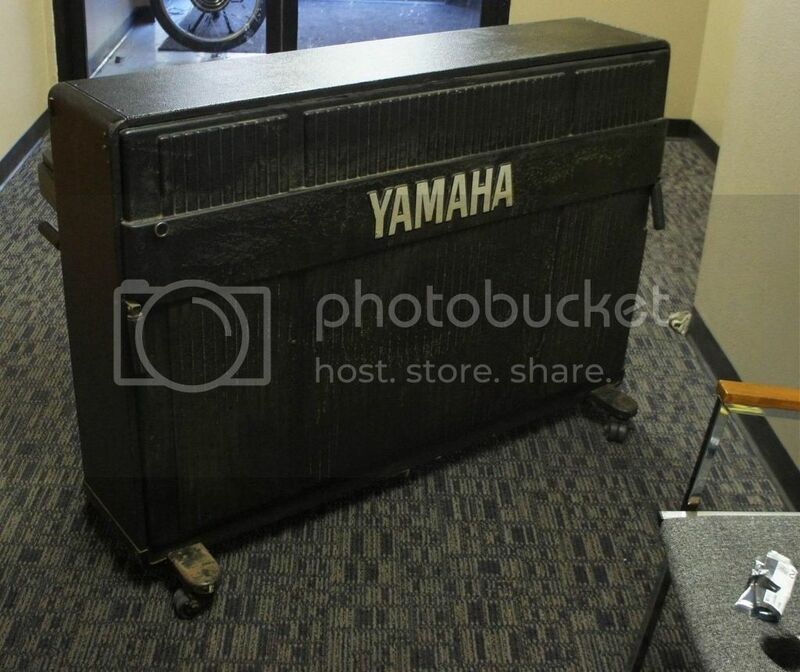 It's the Yamaha CP60M. The upright version of the electric grand. 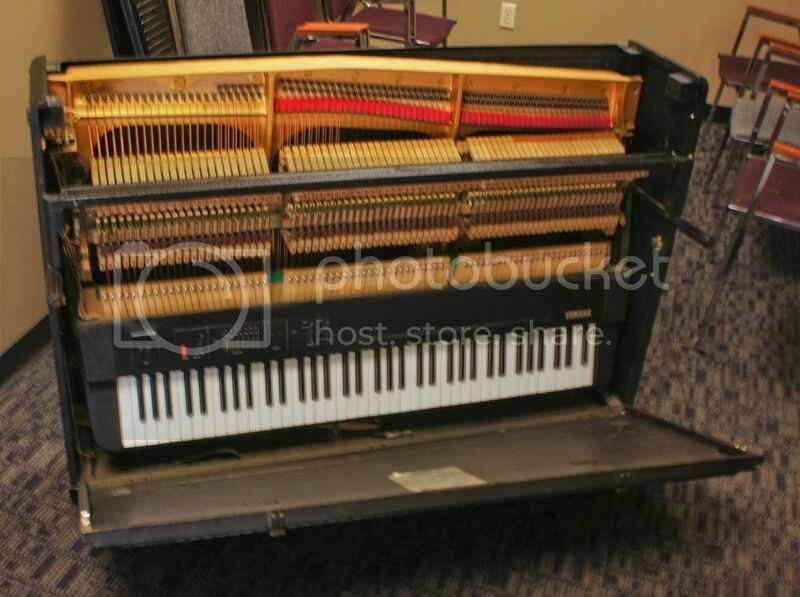 It is a real piano with pickups and a preamp. This version has MIDI out as well. 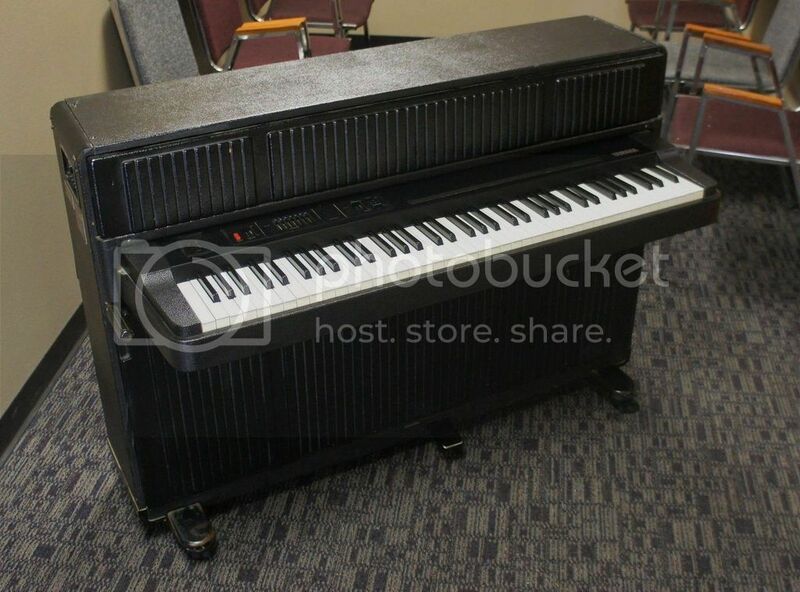 And yes I have the kawai ep608, but I'm going to sell it. The main difference is that the Yamaha has double strings on all but the lower octaves and the Kawai is single strings throughout. The kawai is close to half the weight, but I adore the CP line. STG says it looks like Darth Vader. Of course I had to go look up some videos to see what that CP60M sounded like Pure lounge, man. Most interesting also was a guy from France who takes the lid off and plays the strings with a guitar pick (creating loops with it, to play along with other synths). I wouldn't mind one, and the couple I see that sold on Ebay were over/under about a grand, so not too bad I'd say. I wonder how hard it is to keep one of those in tune? Especially with gigging and all? The whole idea of it was to have solid tuning so you can tour with it. I actually posted that French guys video in the Other Peoples Music thread. It was pretty cool. Anyway, the freight company called today and wants to deliver it Friday. I'm rather excited; I've been a fan of the CP series for decades. I've had them and been in bands with people that have them and I adore the sound. I've said many times that I prefer them to acoustic pianos. I am however working on getting a U3 in here which is just such a special piano, I prefer them to grands actually. I agree that U3s are awesome. Man, Clav does have all the cool toys. Well I still don't have a Jupiter 8, but I did play one last Sunday again. I'm in love all over again every time I touch it. Another vote for U3. To me, they sound better than a lot of average grand pianos. A proper piano must have no less than three strings per note in the upper registers. Plink Floyd wrote: Another vote for U3. To me, they sound better than a lot of average grand pianos. Wut is it? Duophonic ring modding? I just hadn't done it before, but I was playing a sequence of notes on the arpeggiator, and then I detuned osc two to something pleasant maybe a third or fourth below osc one, and then played with the osc one/two mix control to slowly sweep from the blended signal, to hard osc1 through hard osc2 effectively transposing the arp, but as a cross fade. Then I was messing with altering the note sequence back and forth. All this while playing with the ever so wonderful J8 envelopes and filter. It's just such a cool sounding synth and I love it. Best sounding poly I've ever played, and I've owned most of the greats. ClavAnother wrote: It's just such a cool sounding synth and I love it. Best sounding poly I've ever played, and I've owned most of the greats. Too bad they're so unobtainous. If Krog had been he original mfgr, maybe we'd have a remake by now. Regarding he Jupiter, everytime I play it I want one, but after the last time I started to actually think about how I can make that happen one day - I mean for the first time ever I started to think about how paying $8000 is totally worth it; like the money is separate from the machine. I'm hoping the next Behringer synth is based on the Jupiter-8. Basing the Deep Mind on the Juno 106 is cool and all of that, but you know, that's gotta be the entry level. Let's see who comes up with the best name for it.